Frost, Thanksgiving Day Pet of the Year! You are here: Home / Pet Corner / Frost, Thanksgiving Day Pet of the Year! “When the Frost Is on the Punkin,” a poem by James Whitcomb Riley, evokes warm, cozy, quiet feelings even in our hot California weather. It makes you think of a sleepy morning, a cup of tea or coffee, a silent room and a cat purring on your lap. Frost would be perfect to complete this picture! He’s the color of frost but warm as toast. 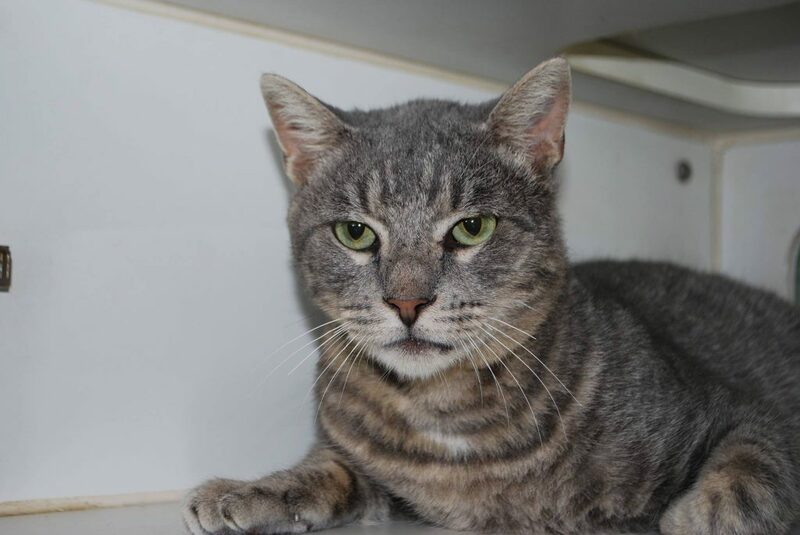 He was found as a stray and has warmed up to the staff and volunteers, as he will to you. He’s only 3 years old and has lots of Thanksgivings ahead of him! Meet Frost at the Companion Animal Village at 7700 East Spring St., (562) 570-PETS. Ask for ID#A598051.